It’s that spooky, orange and black, trick-or-treat time of the year again… HALLOWEEN! 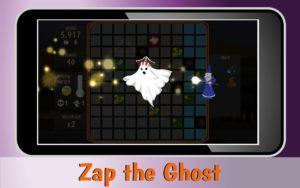 Get into the spirit of Halloween by searching vacant spooky houses for magical, golden Jack-O-lanterns. You will encounter many tricks, treats, and treasure during your hunting. 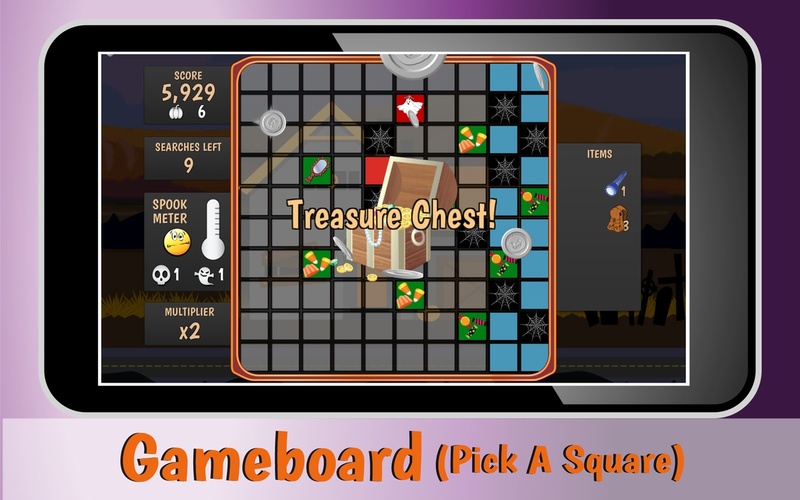 Pumpkin Hunt is a pick-a-square game that relies on luck and a little planning. 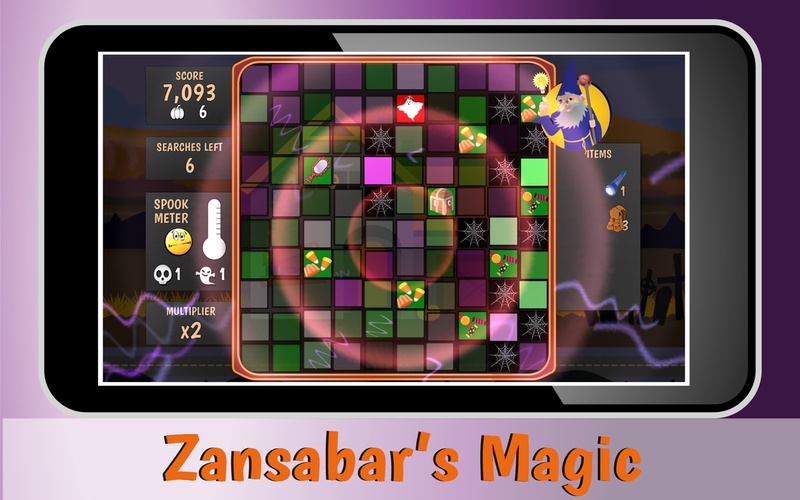 You will be introduced to Zansabar the Wizard to guide you on your adventure. 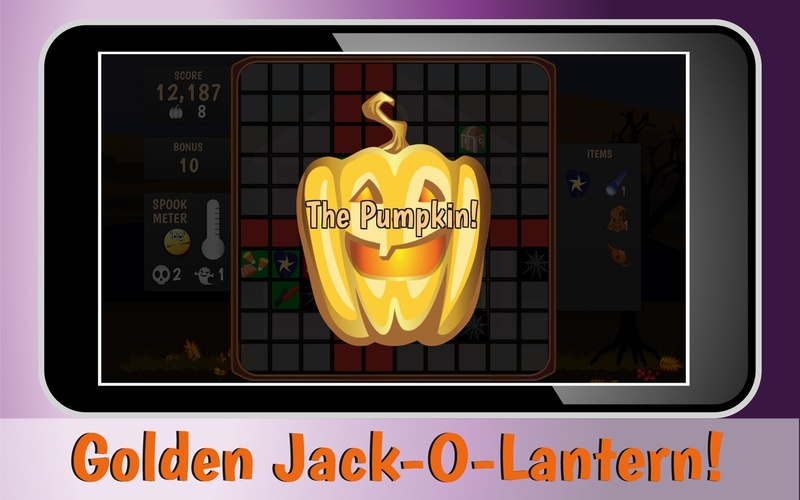 You will search an abandoned village for golden Jack-O-Lanterns! Although there are many goodies and treasure, there is only one golden pumpkin in each house. You will be awarded points and a bonus when you find your prize. The amount of your bonus is based on how quickly you find the Jack. There are only so many searches in each house, so don’t dilly-dally around. There are 50 houses to get through in the village. However, be careful… it can be a bit spooky. Anything you find that could scare you will increase your Spook-Meter (skeletons, black cats, ghosts). 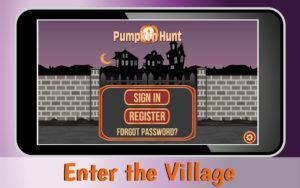 If you get too scared, you’ll run out of the village and the game will be over! But, find ALL 50 Jack-O-Lanterns and you win the game! AND… collect a hefty award for your score! Are you ready to get going on your Halloween hunting? To be challenged by spooky houses and their residents; discovering tasty goodies and treasure? 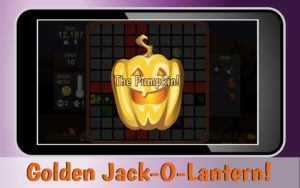 Finding golden Jack-O-Lanterns? Yes? 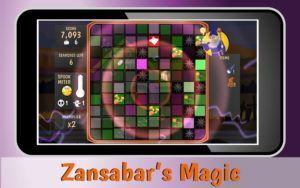 Download and play today!